Hot Glass, What a Blast! 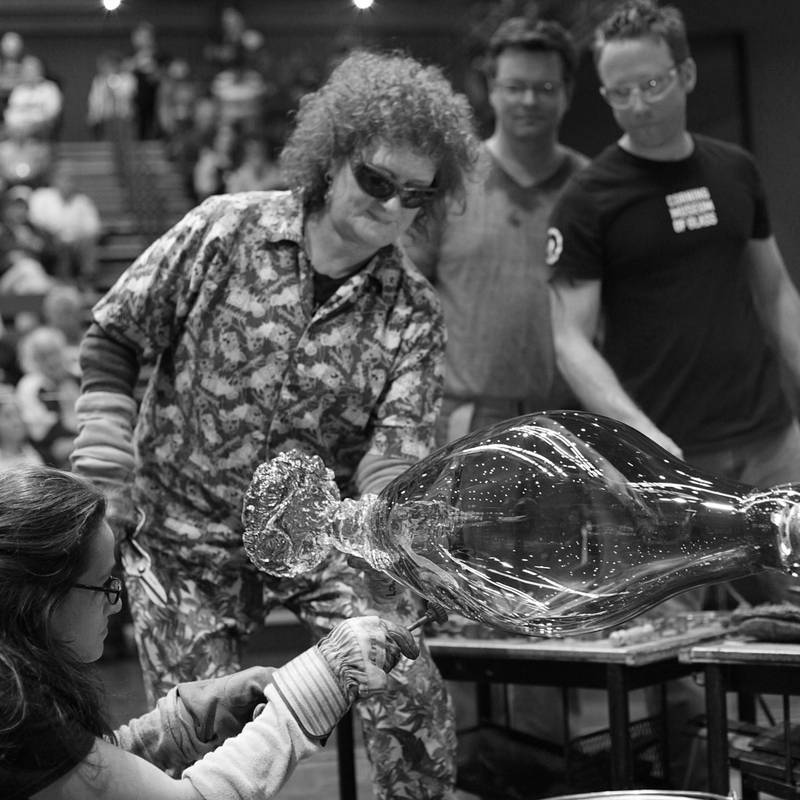 See guest artist Laura Donefer in a live, narrated demonstration in the Amphitheater Hot Shop on June 22 from 6 to 8 pm. Laura Donefer has been working with glass as her primary medium for more than 30 years. Her work is highly recognizable thanks to her “Doneferian twists” which include crazy colors, loads of textures and patterns. Laura Donefer distinguishes her work in two parts based on her emotional inspirations: the happy, beautiful baskets that make people smile, and her “darker work” which has pulled from themes of assault and depression. As an artist, she finds inspiration for her eccentric work in everyday locations.